Our system of trails spread across more than 40km of rainforest around the eco-lodge within the Madidi National Park. The trails are identified with local names of animals and plants, and have been carefully designed so that visitors can appreciate the tropical jungle and discover the natural world. 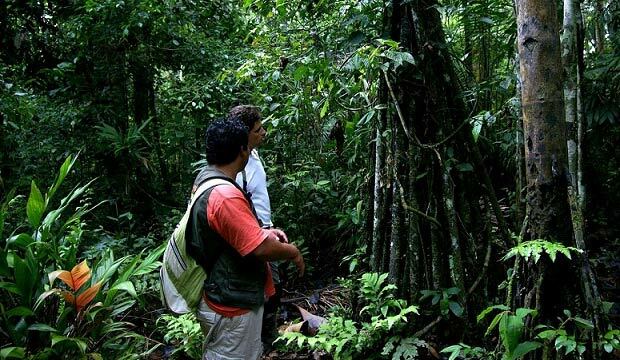 A native guide, who is an expert on the rainforest, will lead you around the easy-to-access trails to help you discover the best of the rainforest. You´ll observe stunning flora and fauna, learn about medicinal plants, get to know the various types of trees, the ecological cycles and gain authentic, local knowledge. In order to provide the best possible service, our groups are between 4 and 5 visitors maximum. 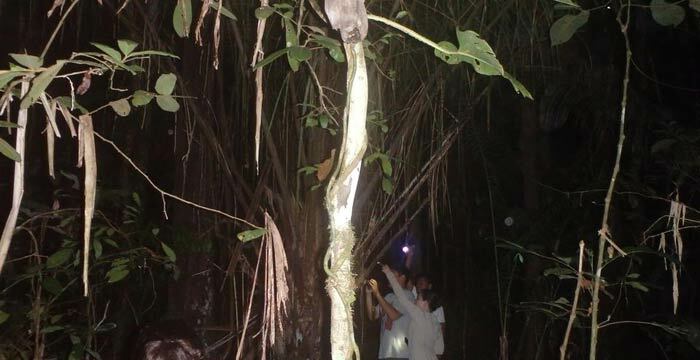 Equipped with a flashlight, our guide will take you on one of the thematic trails to experience nocturnal wildlife and listen to the enigmatic sounds of the jungle after dark. This activity is ideal for those interested in amphibians, reptiles and insects, such as the tarantula. The walk will last around one to two hours. The thriving ecosystem that exists in Madidi National Park provides a unique experience in the tropical rainforest. Our indigenous guides (who speak Spanish and English) originate from the local jungle community of San Jose of Uchupiamonas. They are professionally trained in the complex ecosystem of the jungle. 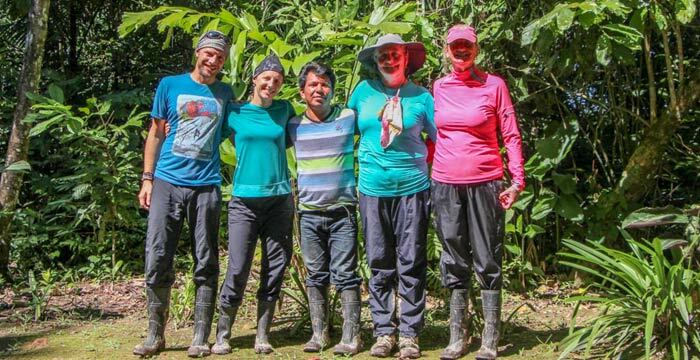 The guides will draw upon their ancestral wisdom to complement their scientific knowledge in order to provide an unforgettable jungle experience. Our guides are experts in identifying wildlife, be it by their call or footprint, and will help visitors recognize different animals and birds of the jungle. 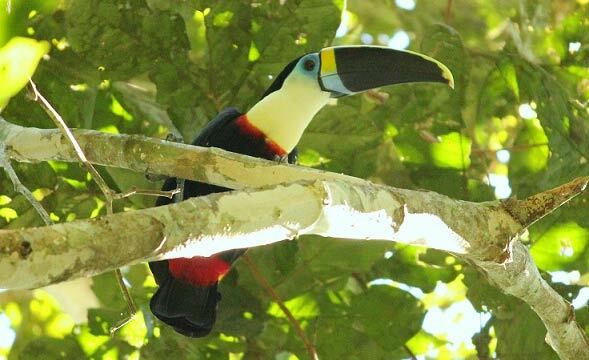 Research conducted in Madidi National Park estimates that there are approximately 1,200 species of birds within the protected area including macaws, parrots, toucans, harpy eagles, king vultures, wild turkeys, woodpeckers, kingfishers and many other smaller species. This means it´s one of the very best places for bird observation in the world. After just 1h walking from the Ecolodge, located on the Aguapolo River, you will find a natural Macaw cliff. During the first or last day of your tour, you will also have the chance to visit Caquiahuara, a natural nesting wall used by the red and green macaws and other species of parrots (dependent on season). 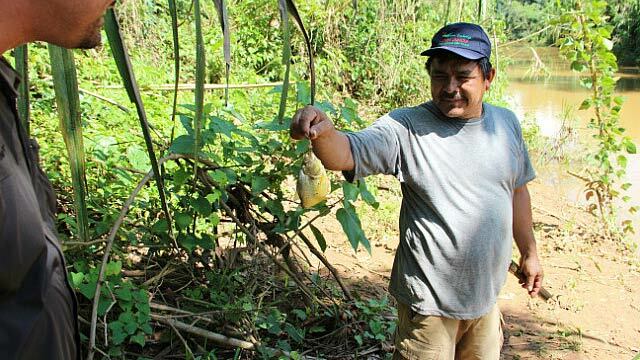 Piranha fishing is available all year round in small streams and lagoons close to the lodge. Groups will use hooks, nylon lines and meat as bait for the fish. The most common fish are piranha, cat fish, golden salmon and giant piranha (pacu). The fish are not harmed, and are returned to the water. This activity is optional but incur no extra cost. During the hikes you will have the possibility to observe a variety of wildlife including: black spider monkeys, capuchin monkeys, howler monkeys, squirrel monkeys, tapirs, wild pigs, deer, capybaras, turtles, caimans, lizards and other smaller species. The wild cats, like pumas, jaguars and ocelots are the most difficult to see, but they could surprise us! In the area surrounding the ecolodge, there are 5 different salt licks. These strategic places in the middle of the jungle are usually visited by different animals to gain important mineral salt. Visiting these areas means you´re likely to observe more wildlife and learn about their behavior in the wild. 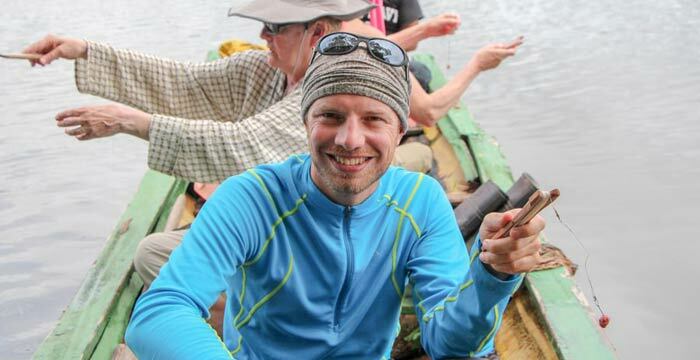 For visitors staying longer at the ecolodge, we offer boating and canoeing activities in Santa Rosa Lake, located 2 hours by boat from the ecolodge, and followed by a 15 minute walk. Boating offers the possibility to see caimans, alligators, capybaras, river turtles, tapirs, monkeys and many species of bird. Note that there exist a higher chance to spot the jaguar along the way due to previous encounters. In Santa Rosa lake we can do canoeing and fish for piranhas. It´s also possible to swim in specific areas of the lake. 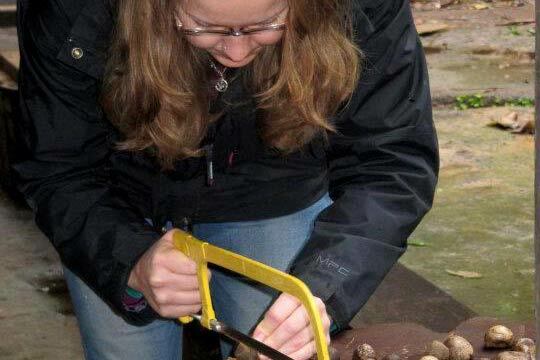 This activity is suitable for all visitors and ages. Visiting Santa Rosa Lake (Jungle) has an extra cost of USD. 30 per person (to cover transport costs). 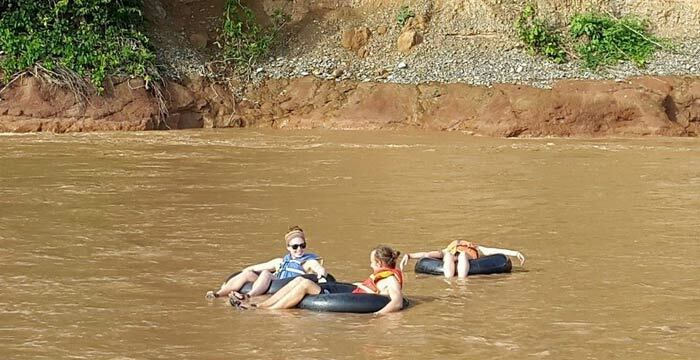 During the dry season the River Tuichi is a great place for tubing, an exciting ride in rubber inner tubes along the fast-paced rapids of the river as well as the calmer waters. Along the way, you will have the chance to relax and enjoy the pristine surroundings. This activity is optional and incurs no extra cost. We provide life jackets for your safety. We offer the tubing activity mainly from April to October, depending on weather and river conditions. The activity takes around 1h and can be combined with walks, fishing or boating. Using the abundant materials found in the rainforest, our guide will help you to make local handicrafts step by step. Rings, necklaces, bracelets and earrings made of palm and plants seeds can be a beautiful souvenir of your jungle experience. This activity is optional. If you are looking to do a tour of the jungle with people who have grown up in the area and know the animals, flora and fauna really well, Madidi Jungle Lodge is your place! The accommodation is basic but has all you need and the food is delicious! For more information please contact us, and we will be so happy to help you. Madidi Jungle Ecolodge is a low-impact, rainforest eco-venture created and sustained 100% by indigenous people who live in the heart of Bolivia's Madidi National Park. 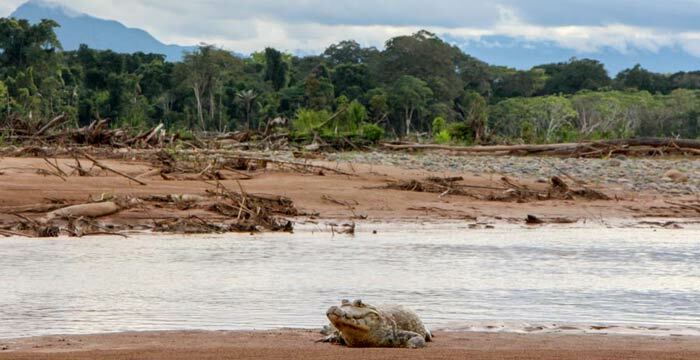 We opened to visitors in early 2011 on community lands of San Jose de Uchupiamonas that span 210,000 hectares of pristine tropical rainforest within Madidi National Park in the Bolivian Amazonia.